Discussion in 'The Lounge' started by LeviathanGirl, Aug 4, 2007. As you can see many others have shown the list of fish pets they own. So you are not insane. Maybe you are, but you are not alone. Some say we are all insane, but only a few get locked up. Don't worry so much. My wife thinks I am insane, crazy, screwed up ( can I say that in this forum), messed up.... I hope this makes you feel better. My wife thinks I am insane, crazy, screwed up ( can I say that in this forum), messed up.... I hope this makes you feel better. And several other species coming in tarde in the next few weeks. That is if it warms up at this end...sub-zero temps for a while-incluiding a Packer game! My latest addition is not a fish - it's an aquarium. 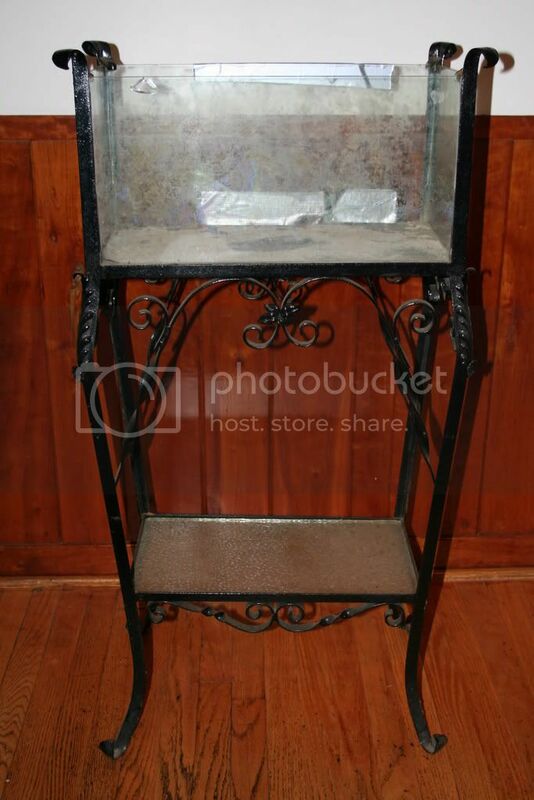 I just found a gold tone stainless steel framed 7Â½ gallon (24l x 12h x 6w in./60 x 30 x 15 cm) Pemco brand aquarium complete with gold flourescent hood and matching stand. It's got to be at least 35 years old. The crazy thing? I already had a matching standard stainless steel framed 7Â½! I started down the unhappy road of collecting antique aquariums and literature as well. The jewel, pardon the pun, of my small collection is a 1920's 8 gallon Jewel aquarium that my wife got me for some occasion-we don't remember if it was a birthday or anniversary gift! I finally found a tiny amount of info about the tank when I found a copy of the original ad for the tank in Klee's updated book The Toy Aquarium. Now I'd like to find the magazine with the original ad. I still need to order some handrolled glass to replace the cracked and chipped glass, but the slate bottom and meta work are in great shape. Very nice. This is the second time this week I've been envious of someone elseâ€™s fish list! Hopefully you start spawning a few more fish on that list so I can get some from you. I also have a Jewel aquarium. 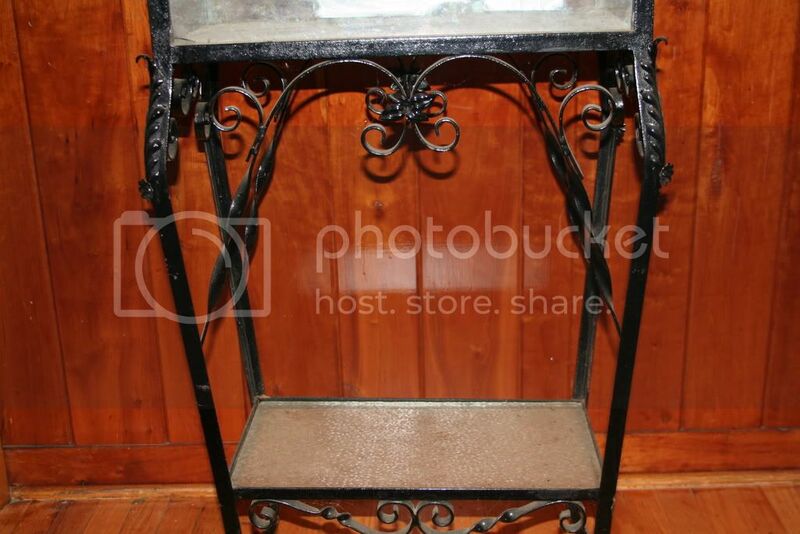 It is a 1950s era black iron framed 25 gallon with a brass plaque "Jewel Chicago, Ill." on it. It weighs a ton & sadly the top has rusted out. Have you thought about how you will replace the glass in your tank? The asphaltum (or is yours 'red lead'?) is nasty stuff to work with. I've done it before, but it's not fun. Thankfully almost all the original sealant is missing. The is a little bit of hardened "black tar" in a few places but it's nice and brittle and should come out easily. I'm only as far as starting to look for some hand rolled glass to use. I've been told that stain glass shops handle the hand rolled glass. As far as sealing the seams...I haven't gotten that far in the plan. What would you recommend? I know that they used rolled instead of float glass way back then, but float glass is flatter and has fewer distortions. Will you have to pull the slate bottom out? 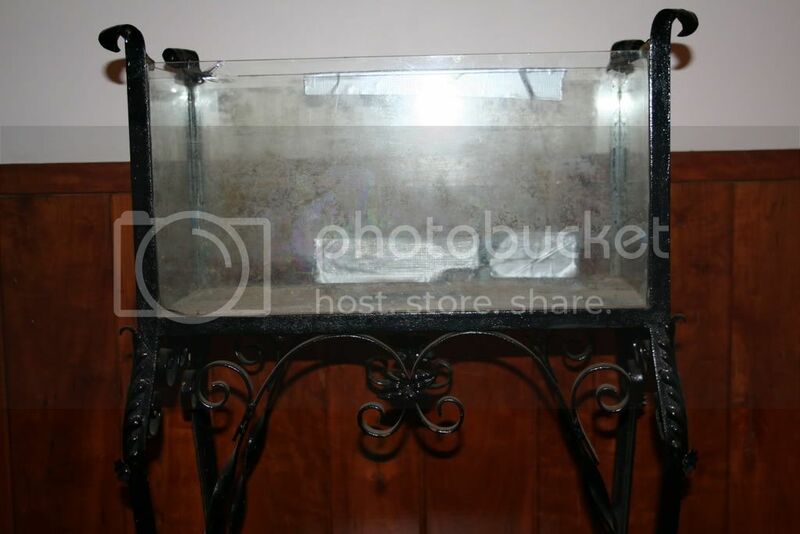 On most metal framed tanks the bottom was the last piece to fit in the tank. If so, you will need a propane torch or an electric iron to heat the frame & soften the asphaltum so it releases the slate bottom. If you decide to use an iron - especially if it's your wife's - cover the base plate with aluminum foil. Once you get asphaltum on an iron, you can't get it off very easily. Anyway, I always used black silicone sealant. I ran a heavy bead of silicon up the sides and along the bottom rim of the metal frame. It needs to be a heavy bead because it needs to fill the area where the thick asphaltum originally existed. Then I set the front & back panels in, & quickly pushed them in place with the side panels. 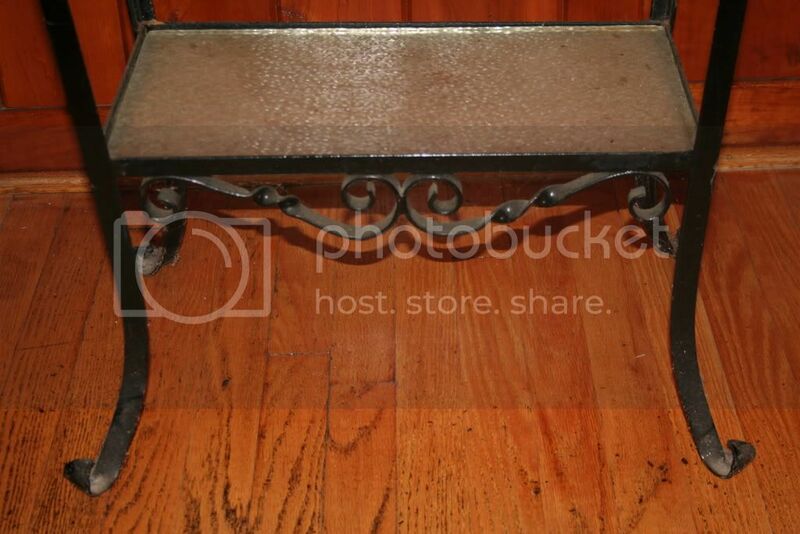 Then I would press in the slate bottom. If the tops of the glass panels don't fit tight, then get some wooden lathe and form braces at the top of the glass panels (& the bottom is the slate doesn't fit tightj). Allow a day or two to cure. Then I put a very thin bead of clear silicon (so it seals the joints, but isn't obvious) on the inside edges of all of the panels and bottom slate. I find that silicone doesn't adhere very well to slate. I usually take coarse sand paper and "rough-up the outer edge of the upper surface of the slate bottom. The silicone grips to it better. Let it cure for 2 - 3 days. Fill with water & pray it doesn't leak:biggrin:. I'd be really interested in adding Chromidotilapia linkei and/or nana to my list. Send them my way if you have any. Mike what is your experience in keeping Hyphessobrycon heterorhabdus? Did they hunt apisto eggs? I haven't had these in decades. They were fine in a community setting with dwarf cichlids, but this wasn't a breedng tank. In breeding tanks I only use pencilfish - if any dithers at all.